The sister painting to "Flower of Love". 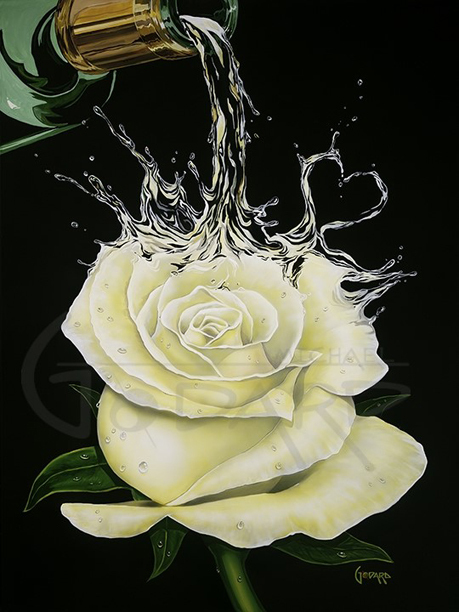 Now the white wine flows, forming a heart in its splash, then transforming itself into a beautiful rose. Love, wine, friendship and beauty all come together in this painting.